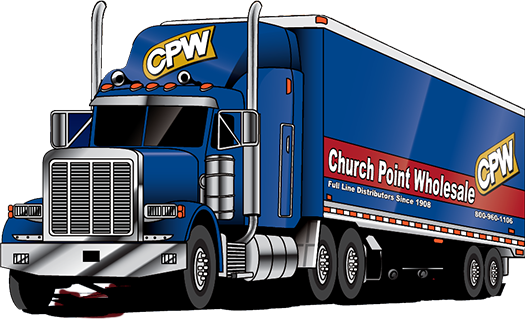 CPW is a privately owned grocery distributor operating out of Church Point, La. CPW now distributes in six states including Louisiana, Mississippi, Arkansas, Texas, Florida and Alabama. CPW is a broad line wholesaler servicing convenience stores, superettes and offshore accounts with groceries, cigarettes, candy, food service, novelty and general merchandise. Our "Spring Show" for 2019 will be held on April 10th. PO BOX 189 | 9684 Church Point Hwy. Copyright 2014 Church Point Wholesale. All Rights Reserved.